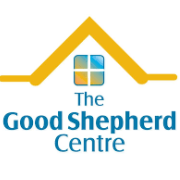 The Good Shepherd Centre works with homeless men, and those at risk of becoming homeless, in Kilkenny and its environs. Homelessness, and those at risk of becoming homeless, particularly in men, is growing in Kilkenny and its environs. We offer emergency accommodation, transitional housing and resettlement services with the aim of returning people to sustained independent living.